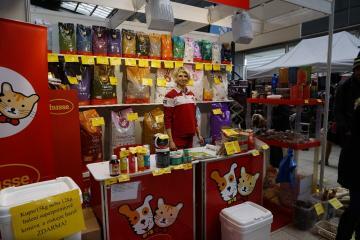 Husse attended Dog Show DUO CACIB in Brno. Event took place from 3rd till 4th of February and gathered more than 10 000 dogs and their owners. 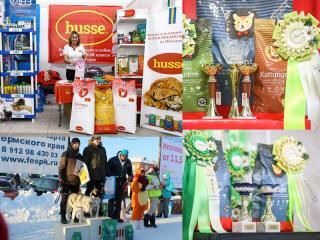 On the 5th of January Husse took part in Cat Show "Stone Flower Cup" in Perm. Then from 20th till 21st of January in Winter Championships "Lunezhskie Mountain 2018" in Perm. And on 27th and 28th of January Husse was present at International Dog Show (CACIB) "The Lights of Prikamye 2018". 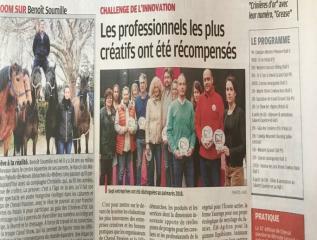 Husse product for horses, Frog Comfort won the 2nd prize for innovation challenge at Cheval Passion in Avignon last week. On the picture above Mickael Mendes from Husse France with the prize. Congratulations! Frog Comfort is 100% natural, made from vegetable oils and essential oils with antiseptic and antifungal properties. It is specifically formulated to treat these infections and rotting of the frog of the horse, caused by a lack of hoof care. It penetrates the skin barrier and the horn in order to eradicate deep pathogens.